Exciting news from the Toon Magpies – they’re building a new nest! It’s in the same tree they used last year, as you can see from the photo above (the 2018 nest is top right, this year’s is top left), which means I’ve had a grandstand seat in my kitchen for the building process again. The new nest is looking a bit scruffy, but it’s large and I am sure it will be perfectly cosy for the forthcoming eggs. The recent unseasonably warm weather in the UK has increased the building activity to the extent that I now actually think that TWO nests are being built in adjacent trees, by two different pairs of magpies! I live in west London, right under the Heathrow flightpath, and my flat backs on to a fairly busy railway line that sometimes sees traffic at all hours of the day and night. Noisy, yes, but still a great place to live because (and this may surprise some people) of all the wildlife in the area. There is a perhaps surprising amount of green space nearby, creating perfect habitats for numerous creatures – you’ll find a small park and various allotments (some in use, some derelict) within a block or so of my flat, and the railway line itself is flanked by trees and other greenery. The First Day of Spring – At Last! 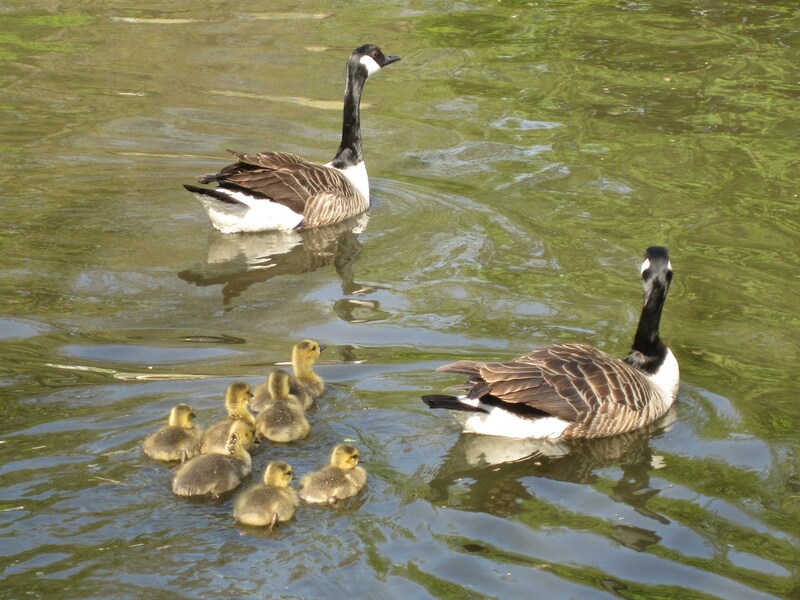 Today is the first day of spring, so I went for a pleasant walk along the Thames to celebrate. After a weird winter, Mother Nature had obviously got the memo about the changing seasons and there were plants and trees in bud and blossom to be seen everywhere. Walking home from a hospital appointment yesterday, I was struck by these trees in a local neighbourhood park. Almost leaning into the wintery blue skies as if reaching for the hazy sunlight, it’s just possible to see a hint of new growth on their bare branches. Spring sunshine with added dog! Despite this week’s rain and a wind so gusty that I almost thought I was going to be blown away like the queue of nannies in Mary Poppins, it seems that spring has finally arrived – much to the relief of everyone, including this lovely dog. 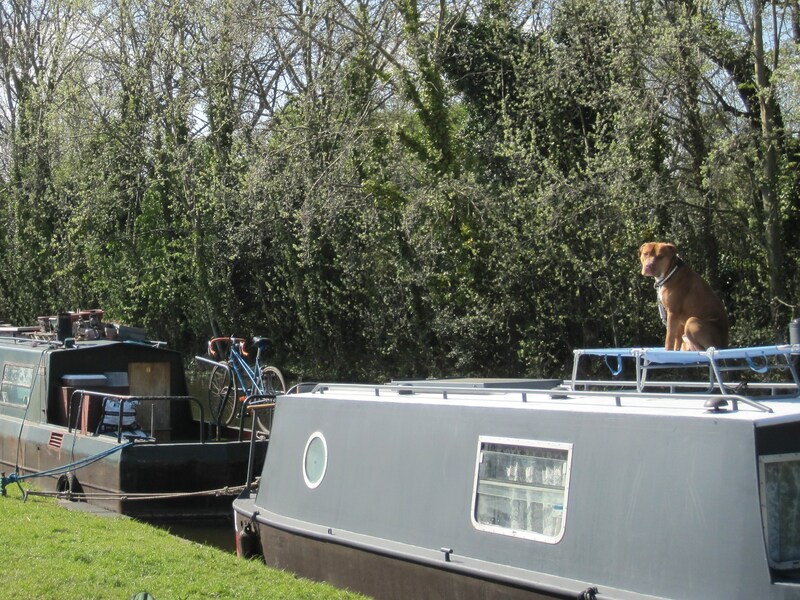 Happily sunbathing on a lounger atop a houseboat moored on the Grand Union Canal at Ladbroke Grove, he sat up to watch me go by – and posed rather beautifully when I got my camera out! One of the small pleasures of the British springtime is the arrival of the bluebells. Once they are in bloom again, you know that summer isn’t all that far away. This pretty, colourful flower (which is, bizarrely, actually a member of the asparagus family!) is native to most parts of the British Isles, thriving in our ancient woodlands. However, the bluebells you see in the photo above are probably only part-British – and that’s part of the problem. 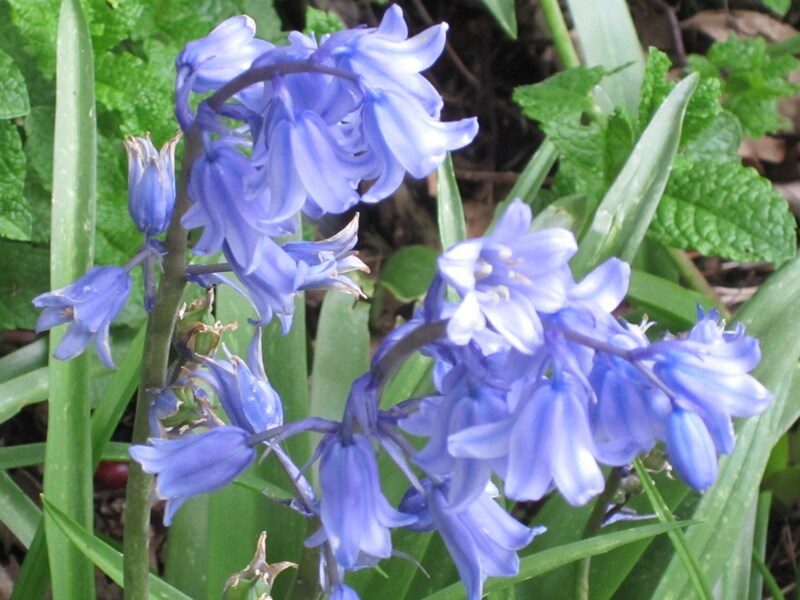 True native bluebells are becoming rarer and rarer in some areas as a result of the rapid spread of the Spanish bluebell, a distinct, separate and highly invasive species which is also known to hybridise with the native variety. Telling the difference between the Spanish and hybrid varieties is not easy (it took a lot of googling and reading and looking at pictures of bluebells before I concluded that those in the photograph are probably hybrids! ), but the differences between the native and Spanish varieties are a bit more obvious, as you can see in these illustrations. Well, more like a coot actually. 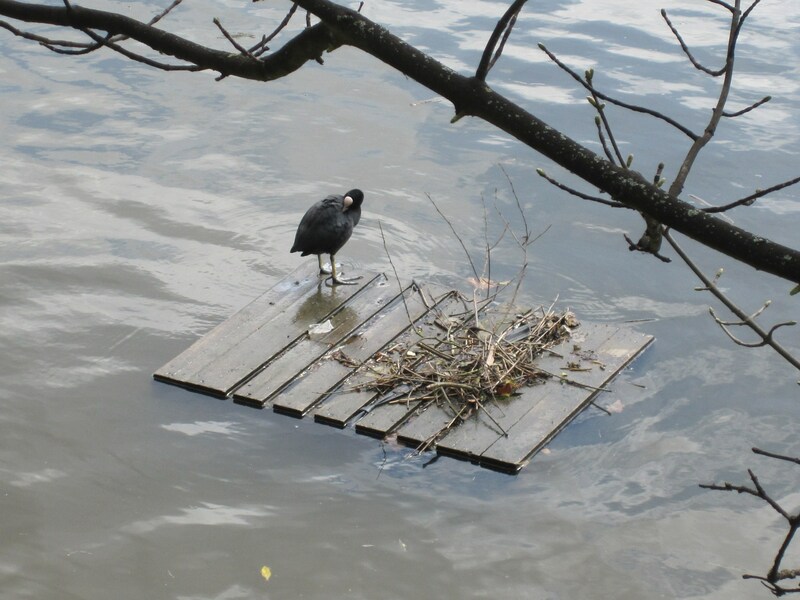 And this one, believe it or not, is actually building a nest on this floating platform. Most birds are pretty secretive about where they nest, tucking themselves away in trees (like the parakeet nest I recently spotted, cunningly hidden in a hole half way up a tree trunk), hedges or undergrowth to prevent predators from getting at them and their precious offspring – but coots are a bit more blatant about their nest building. Highly aggressive and very territorial, particularly during the breeding season, coots are, as you can see, pretty in your face about nesting, despite the fact that they often lose a high percentage of their young to gulls and herons because they make so little effort to disguise their nest sites. Being omnivores, they will even eat the eggs of other water birds, and are also known to viciously bully their own young, all of which – despite their small size and attractive appearance – makes them a bird not to be crossed under any circumstances, quite frankly! Spring has definitely arrived at Syon Lane, as you can see from the photos above (which were taken yesterday afternoon). Preparations are well underway for the Big Dig Spring Open Day, which is happening at the community allotment on Saturday 17th March from midday until 6pm. Come along and get involved in sowing and planting out in the forest garden and market garden areas, learn how to make seed balls and discover how to construct a wormery – as well as lots of other useful garden activities and workshops. And once you’ve built up an appetite, there will be free vegan food and hot and cold drinks on offer all day too. For more information and details of how to get there, visit the Syon Lane Community Allotment Facebook group. You can see more photos from Syon Lane here, here and here.